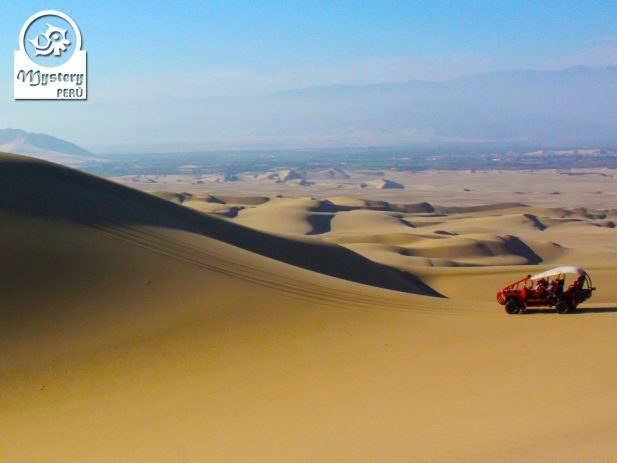 Huacachina Oasis & The Paracas Reserve 2 Days Trip departing from Lima. 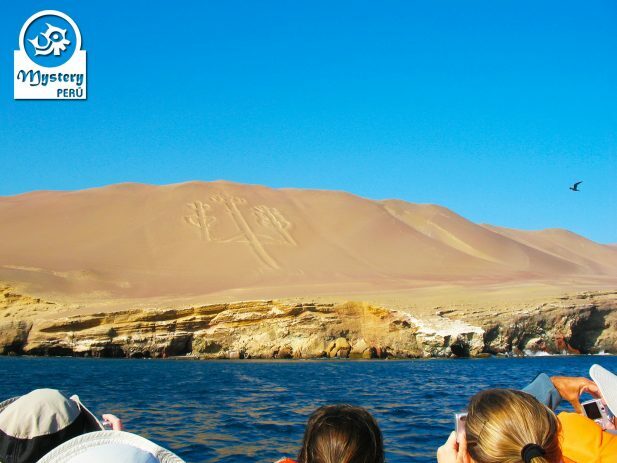 We visit the City of Ica, with the amazing Huacachina Oasis and the Paracas Reserve with the rocky Ballestas Islands. 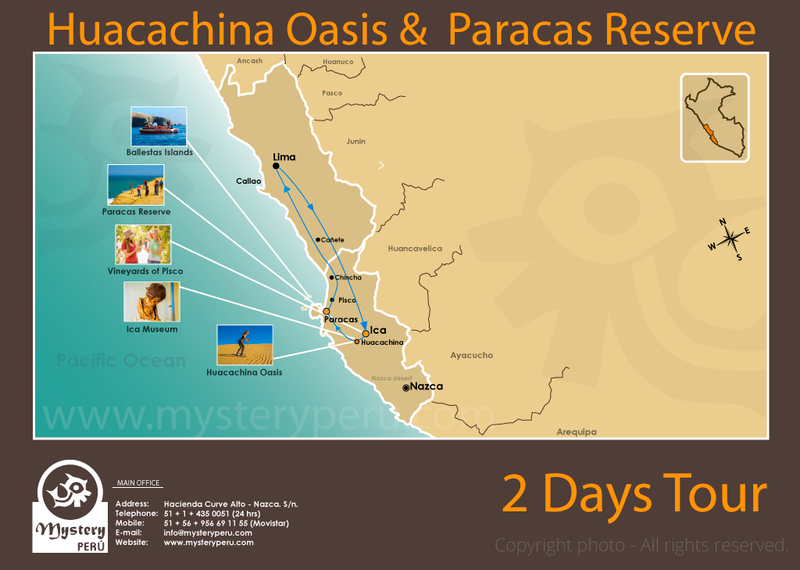 Day 1°: The City of Ica and the Huacachina Oasis. 08:00 h. Our guide picks you up from your hotel in Lima and then we drive towards the city of Ica. 12:00 h. In Ica we will visit a traditional vineyard where locals produce Pisco, a grape brandy very popular in Peru. Here we will learn the old method of making Pisco with a local guide. Later on, we visit the Museum of Ica. This interesting building houses the remains of ancient peruvian cultures. Among the relics, you will see ancient textiles, ceramics and deformed skulls, cranial surgery and mummy bundles. 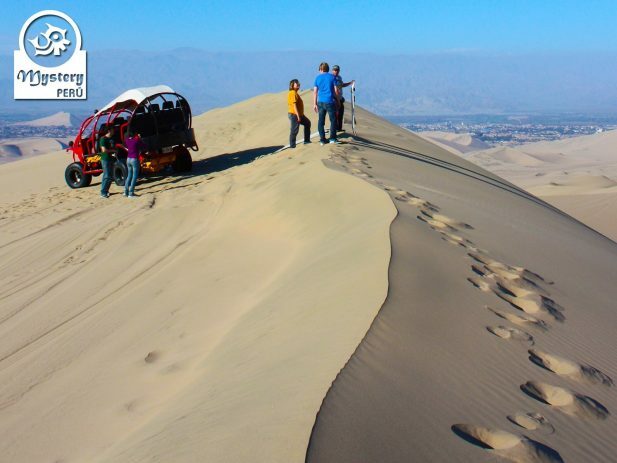 Finally we will head towards the Huacachina Oasis, where we take a buggy tour in the desert. After sunset, our guide will drop you off at your hotel in Huacachina. Overnight at the Hotel Hosteria Suiza ***. 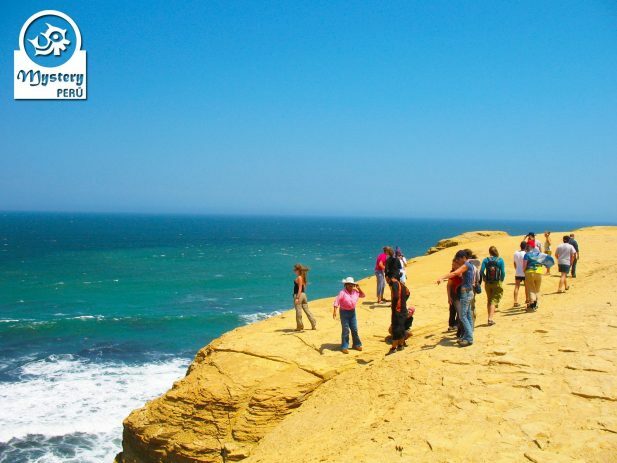 Day 2°: The Ballestas Islands & the Paracas Peninsula. During the tour you will see a huge design on the slope of hill, known locally as The Candelabra. 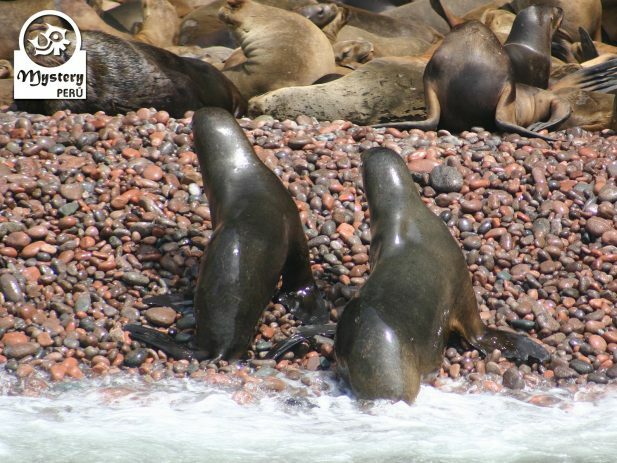 Once at The Ballestas Islands, you will see large colonies of sea lions and hundreds of marine birds. In addition you will see also penguins, always near their caves. After the tour, we will visit the Paracas Peninsula by land. 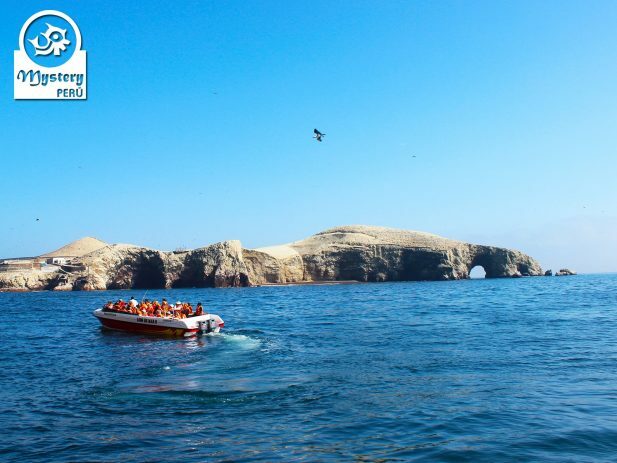 At the Peninsula we will visit the Interpretation Center of Paracas and some beaches. Finally we will drive back to Lima. 17:00 h. Upon your arrival in Lima, our driver will take you to your hotel. 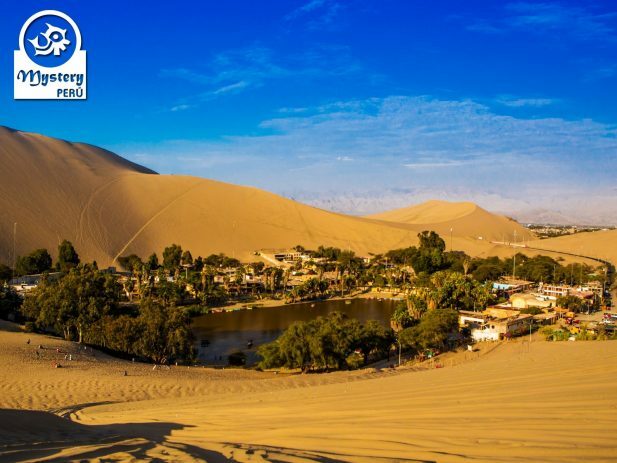 Our Huacachina Oasis & The Paracas Reserve 2 Days Trip is subject to availability. For a quick reply, kindly contact us via WhatsApp. Click on the following number to contact us now +51 956691155. 08:00 h. Pick up from your hotel in Lima & transfer by private vehicle to the city of Ica. Visit to a traditional vineyard of Pisco + entrance fees. Visit to the archaeological Museum of Ica + entrance fees. Accommodation at the Hotel Hosteria Suiza ***. 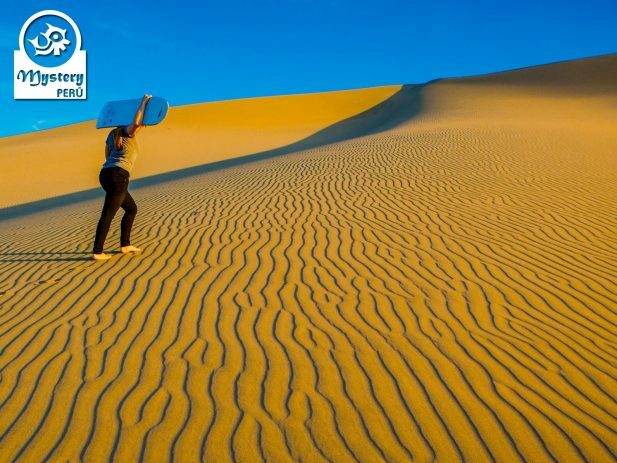 08:45 h. Pick up from your hotel in Huacachina transfer by private vehicle to the Paracas Bay. 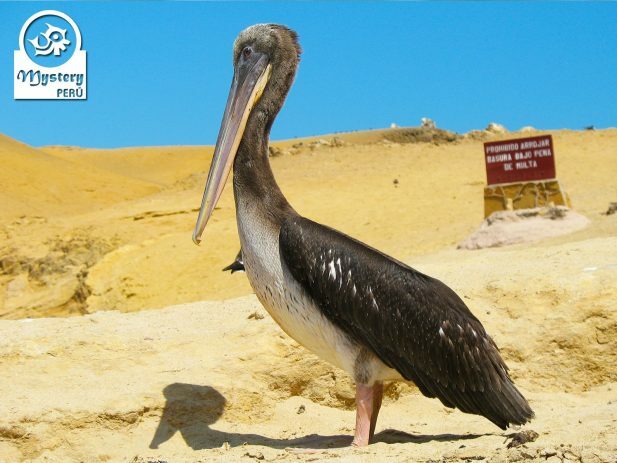 12:30 h. Land tour the Paracas National Reserve + Entrance fees. 15:00 h. Return to Lima by private vehicle. 18:30 h. Arrival in Lima. Drop off at your hotel. Huacachina Oasis & The Paracas Reserve 2 Days Trip.